Gangbuk LRT - Naebu v. Seobu, or PARK v. OH? 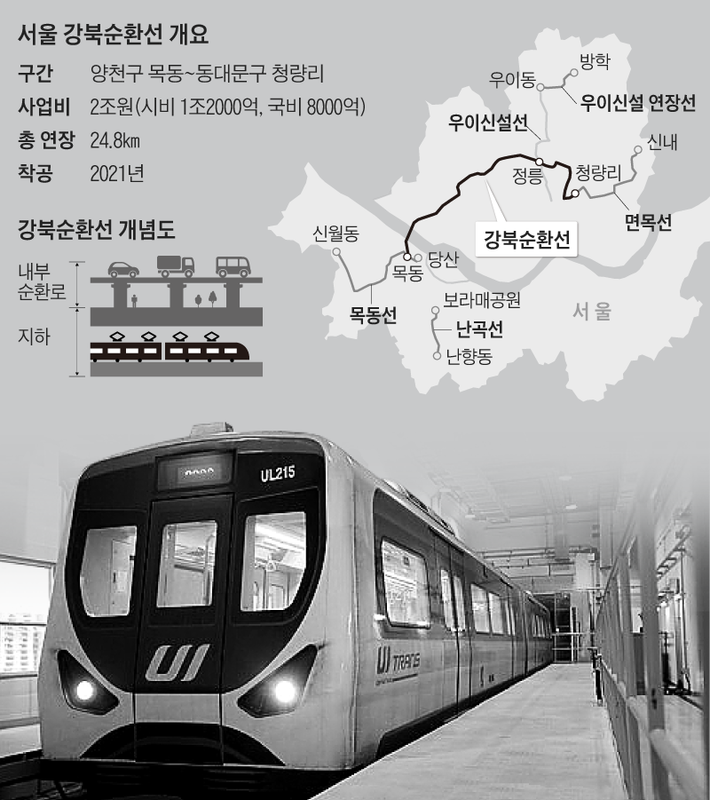 Out of the blue, Seoul Metropolitan Government unveiled a brand new, 24.8 km, 15-station subway line joining Mok-dong (Yangcheon-gu) to Cheongnyangni (Dongdaemun-gu) along the Naebu Expressway, that disgraceful overpass scarring countless Seoul neighborhoods*. 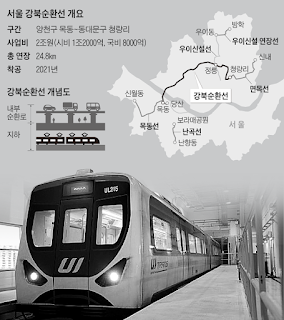 Construction would start as early as 2021, for a project that was not even part of the 10 LRT projects announced for 2025 in 2015 ("Seoul subway to gain 89 km by 2025"). Yet, it would connect the dots between two of them: the Mok-dong Line to the West (Sinwol-dong - Mok-dong), and the Myeonmok Line to the East (Cheongnyangni - Sinnae). This may sound a tad cynical but again, announcements related to subways have always been heavily political (whatever the party in charge), because there's so much at stake at the real estate level, and you know how much that counts in Seoul. 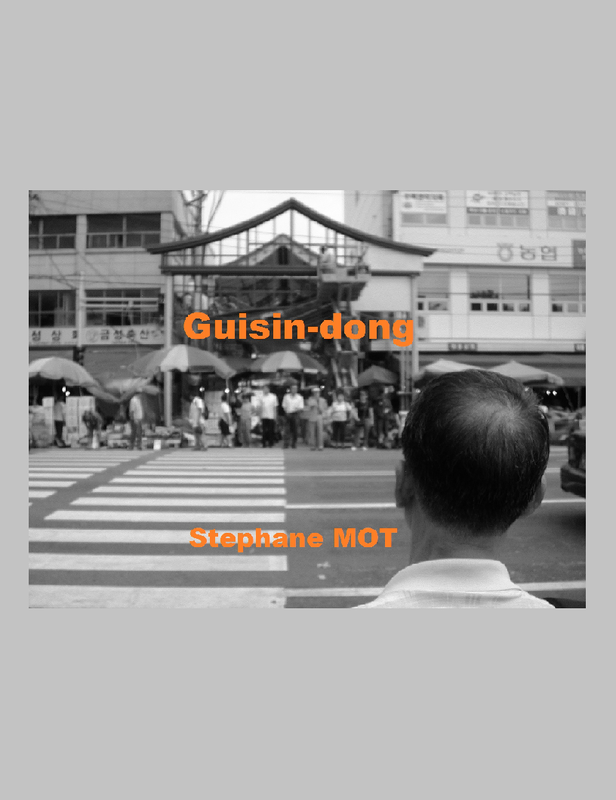 Now, let's have a closer look at this new line. 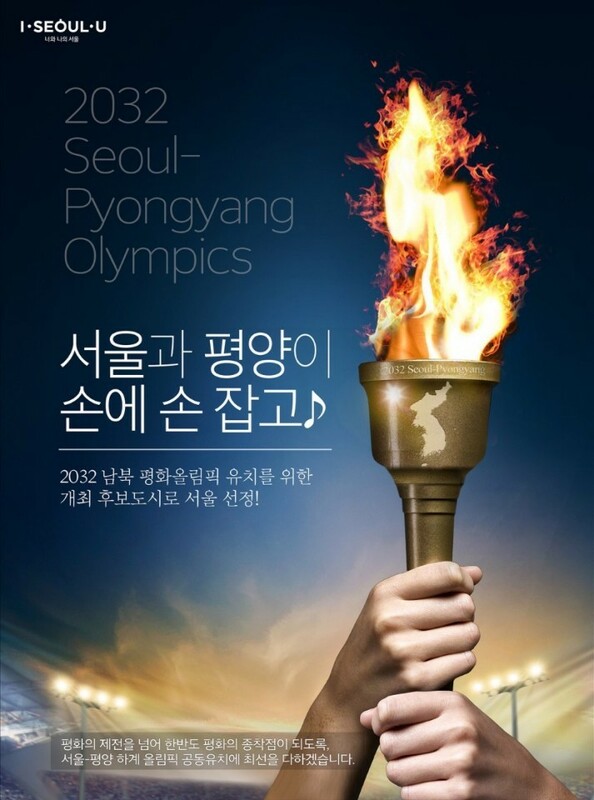 We don't have the details yet, particularly the list of stations, or how the Han River or Bugaksan shall be crossed (doubling Seongsan Bridge and the Bugak Tunnel? under the Hangang? ), but we can get a more than general idea. 'Gangbuk LRT' seems to start from the potential Ewha Womans University Mokdong Hospital station of the Mok-dong Line (west of Anyangcheon, and Dangsan Station). so far, between Mok-dong and Jeongneung, we have listed 9 to 11 stations, which leaves us 4 to 6 until the end. Judging by the map, I could add up to 5 existing stations: on Line 4 (Gireum Station), Line 6 (Wolgok Station, Korea University Station), and Line 1 (Jegi-dong Station, Cheongnyangni). The main advantages would be to cover two big holes in Seoul's subway map: central Seodaemun-gu, and Pyeongchang-dong, and to add horizontality where it could make sense. But the Seobu Line is far better designed for the needs of Western Seoul, doubling the Naebu Expressway would demand disproportionate investments, and there are probably far smarter horizontals to build. Of course, the fact that many cars use an urban highway doesn't mean that many citizens would take the same route by subway. Fundamentally, this top-down project doesn't seem fully thought through. I hope Seoul has a more serious and comprehensive plan to not only fix these two holes, but also pave more cleverly the (rail)way for the removal of the city's embarrassing elevated expressways. *** that's what I had in mind in the 'second circular line' project mentioned in my comment dated "August 20, 2013 at 6:00 PM"